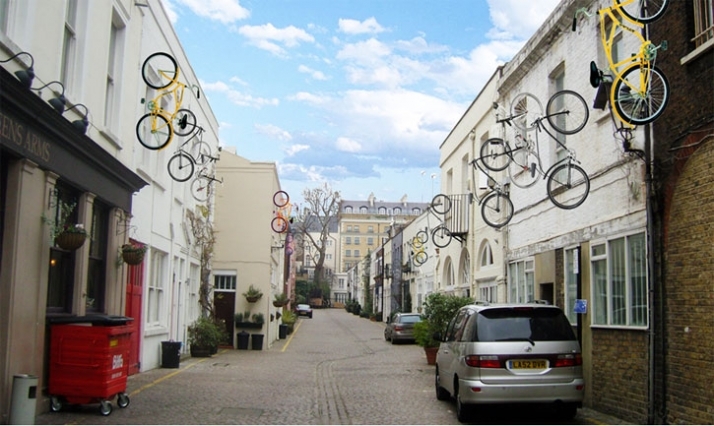 An RCA student has come up with a canny design that could help prevent thousands of bikes being stolen. Dominic Hargreaves, 23, a design student at the College has had three bikes stolen since he moved to the capital. And Dominic’s not alone: on average 52 bikes are stolen in London every day. Looking at this modern urban problem as a design challenge, the young student realised that the only way to overcome the problem was to lock the bike somewhere out of the reach of thieves. His solution? A bike lock located 8 feet above the ground. How does it work? The bike cradle can be fitted to any wall and is attached to an electronic hoist which lowers to the ground when triggered by the owner’s remote control. The mechanism can also be programmed to read an oyster card if located at a tube station, or indeed any public location. 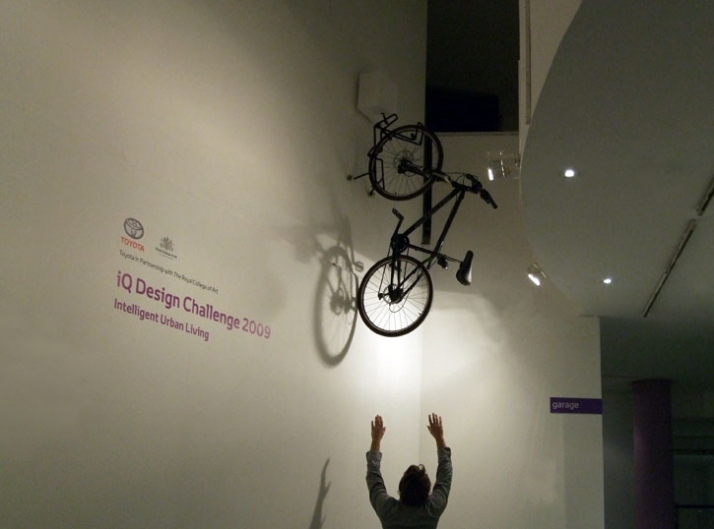 Once the bike is placed into the cradle and locked in position, the user then activates the hoist to pull the bike up onto the wall. The bike is then safely out of the reach of thieves and their bolt cutters. Dominic believes the idea would work on domestic dwellings such as houses or blocks of flats as well as public spaces like railway or tube stations. The design is one of three winners in the £15,000 iQ Design Challenge set by Toyota to Royal College of Art students and alumni to create products that respond to modern urban life.